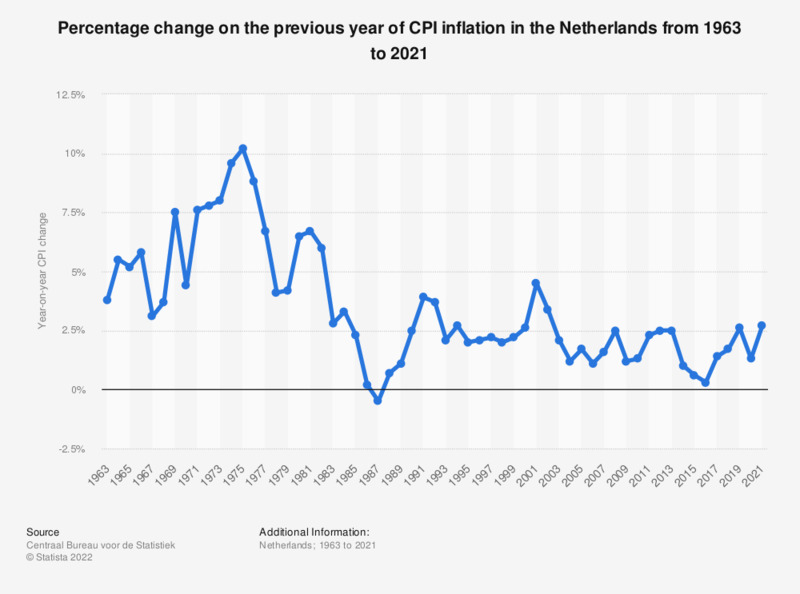 This statistic displays the annual inflation rate in the Netherlands from 2008 to 2018. It reveals that the inflation between 2008 and 2018 was relatively stable, between 0.3 and 2.5 percent per year. * Change of the consumer price index (CPI) compared with the same period in the previous year.